We’ll work in partnership with you or your company to ensure your project is a success. Drawing on more than 50 years of experience, and contracts for big-brand names, we’re sure to provide the assistance you require. Our aim is to ensure you have the best installation and electrical systems available. Our professional service is suited to any environment, from factories to retail outlets, offices, homes, restaurants, housing developments and more. Robinson Jennings Ltd is a reputable company of electricians based in Yorkshire. For more than 14 years, our electrical contractors have provided best-in-class services that contribute to the development and success of businesses across Yorkshire. Friendly and helpful, our team prioritises excellent customer service. We work to deliver results of a high standard that represent superb value for money. Robinson Jennings Ltd is an approved member of the NICEIC inspection council. 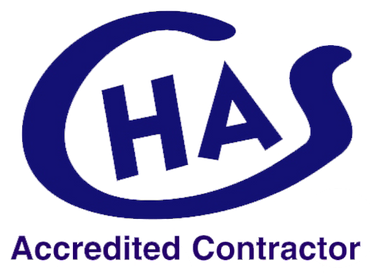 They are also a member of the Construction Health and Safety Scheme. 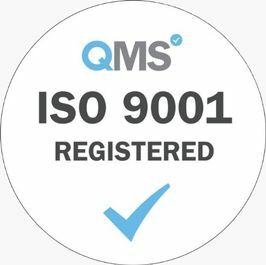 Robinson Jennings work in accordance with ISO9001 and all staff members are equipped with CSCS cards. As modern electrical contractors and electricians, we take pride in providing solutions for any project. Our portfolio showcases a range of diverse and unique projects such as tough mudder, Sunbridge wells, free dog trampoline parks and many more. These projects required vison to be able to design the project from start to finish , creativity , adaptability in an ever changing environment and required elements of technical engineering. We hold long standing contracts with a number of very successful construction companies providing and installing site service electrical supplies. We also hold many maintenance contracts with high street retailers such as Schuh. We have the skills needed for any electrical project. We were also the main electrical contractor for Sunbridge Wells™ development. Sunbridge Wells is an underground system of tunnels that has been converted into fashionable bars and retail shops within Bradford City Centre. We provide maintenance and testing packages for many commercial and industrial factories, bars, and retail shops, fire and intruder alarm systems, CCTV installation and maintenance, and electrical safety inspections. We work in partnership with businesses to eliminate high volumes of work for existing electrical and maintenance teams. Whatever your electrical needs, we can provide the solution at a very competitive price. Contact our team to discuss the services we provide.